Evolve Hair Clinic is currently enjoying a period of rapid expansion following brisk demand for their scalp micropigmentation service. 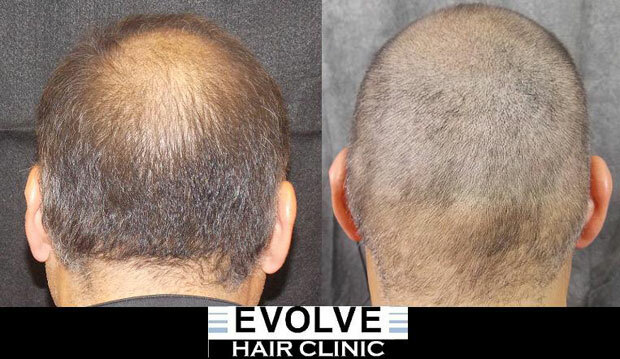 Evolve also offer advanced FUE hair transplant procedures, therefore presenting the option of combination solutions including both procedures. The company currently has five locations in the United States, with both procedures offered at all their clinics. 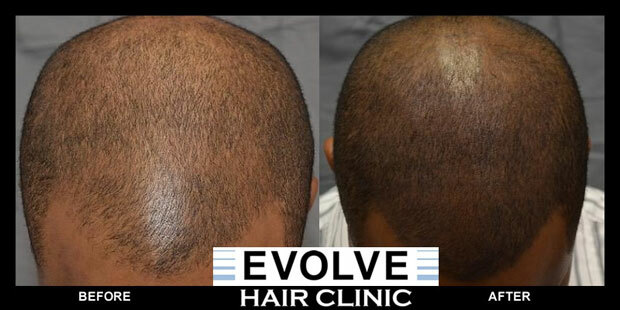 Evolve Hair Clinic is an American hair restoration specialist with offices in Minneapolis, Dallas, Philadelphia, Atlanta and Chicago. There is a growing demand for more complex scalp micropigmentation solutions, chiefly the combination of quality SMP and FUE techniques to create results that were not previously possible using either procedure alone. Evolve is right at the heart of this new trend. As both a leading hair transplant clinic and scalp micropigmentation specialist, Evolve has become one of the leading American clinics in this new field. What do combination procedures involve? One of the biggest advantages is that the two techniques do not follow each other retrospectively, but are applied from the outset with the intention of combining the two. In other words, the FUE surgeon knows that a scalp micropigmentation procedure will follow, so they plan the distribution of grafts accordingly which normally results in a more optimal placement pattern, and consequently a better overall result. The majority of combination treatments utilize FUE first, followed by SMP when the scalp has healed sufficiently. I believe Evolve Hair Clinic follows the same protocol. Are their results any good? Definitely yes, but I’ll let you judge that for yourself. 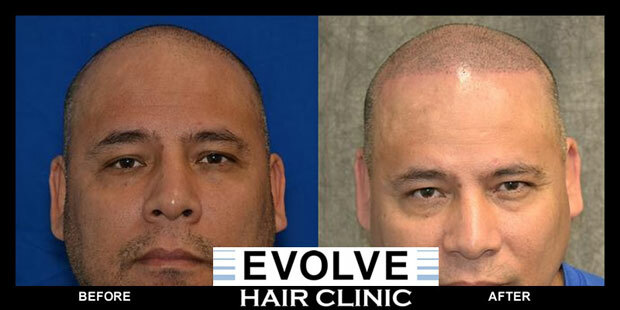 The following before and after photographs are of recent Evolve clients who had scalp micropigmentation procedures. Building on their existing clinic bases in Philadelphia and Chicago, Evolve Hair Clinic is growing at a rapid pace in response to growing demand from new clients in the United States and beyond. As a result the company now operates additional clinics in Minneapolis, Dallas and Atlanta, making their dual solutions more accessible to more people. Further to their ambitious expansion plans, Evolve has set up a dedicated new training facility within their Minneapolis location, to train their own SMP technicians and FUE surgeons in-house. This helps to ensure that all members of the team are trained “the Evolve way” and do not introduce bad habits or flawed techniques from outside the organization. Evolve is currently training new SMP technicians at a rate of three per month, enabling the introduction of more clinics across America in the medium term. Of all the providers out there, Evolve Hair Clinic seems to be enjoying the fastest rate of expansion, a positive sign for anyone considering a scalp micropigmentation treatment at Evolve. This investment into the future of the business says a lot about their intentions. It should be of some comfort to prospective clients keen to understand the probable longevity of the business, that Evolve appear to have plans that will continue to pay dividends many years from now. I wish them every success in their endeavors.